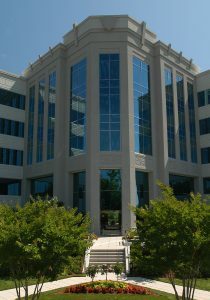 Kowa Research Institute, Inc. located in the RTP area of North Carolina is responsible for the clinical development of Kowa Company’s drug candidates in the United States. Kowa Research Institute, Inc. is a division of Kowa Co., Ltd. headquartered in Nagoya, Japan. Kowa Research Institute was established in 1997 in California and began operations at its current location in 2003. Kowa Co., Ltd. is one of the largest privately held companies in Japan. Kowa manufactures pharmaceuticals, optical and electro-optical goods. It is also a world-wide trading organization handling chemicals, textiles and garments, machinery, fashion accessories and sporting goods.